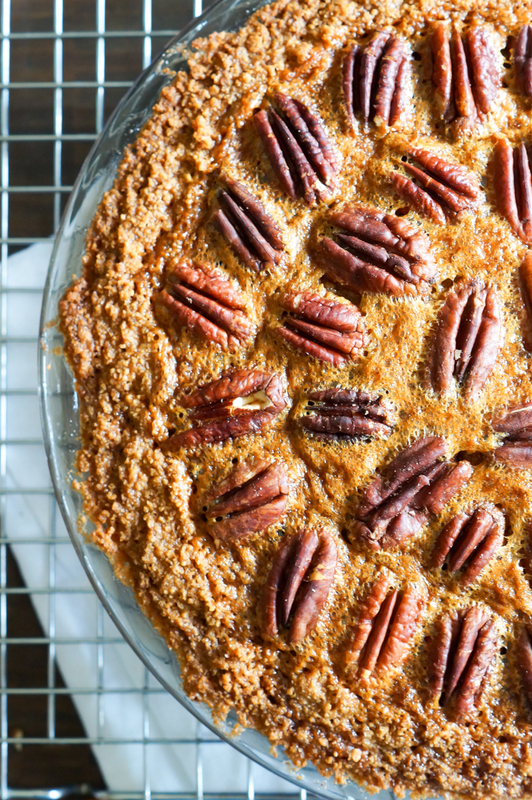 Are you in full-blown pie-making mode, yet? Want another to add to your pie showcase on Thursday? 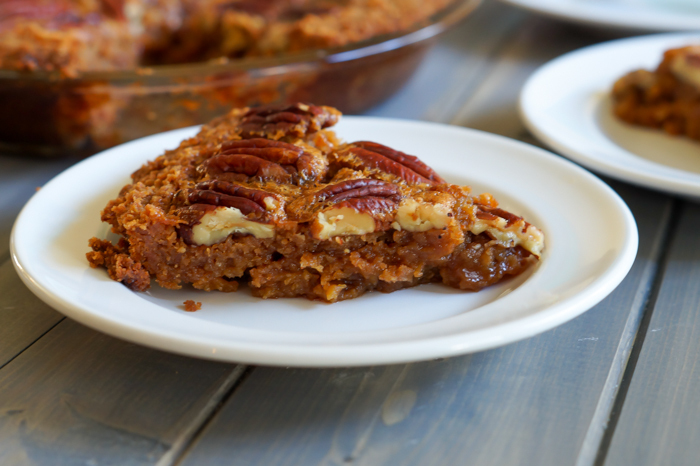 How about Butterscotch Pecan Pie with a Cookie Crust? It's a twist on the traditional...the butterscotch flavors naturally found in pecan pie are deepened with the addition of butterscotch chips. 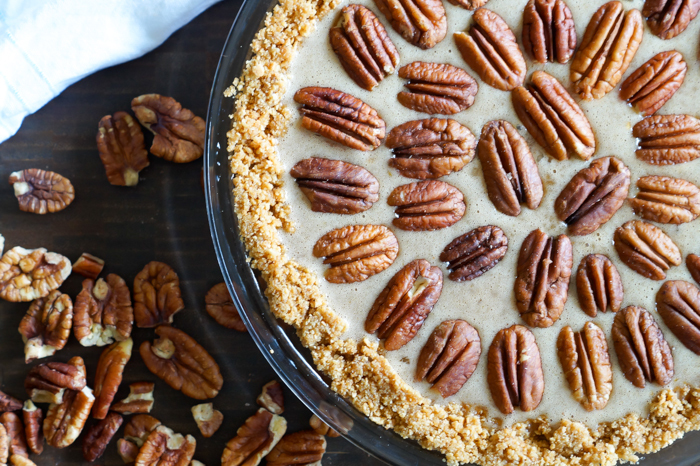 The cookie crust add flavor that is the perfect complement. 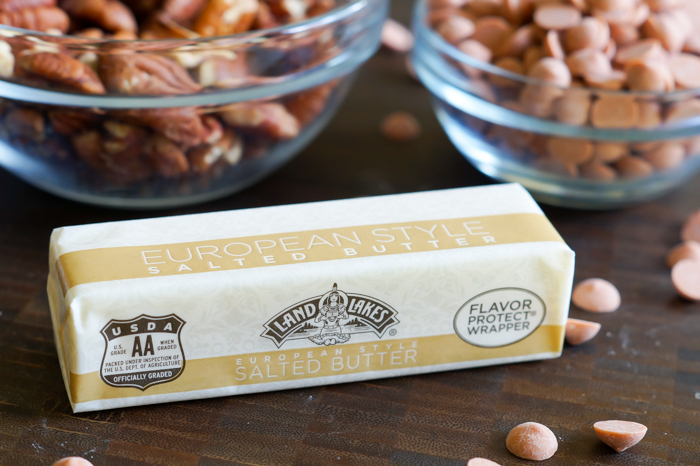 It's made using Land O' Lakes® European Style Butter which makes the pie even more rich and luxurious. No ice cream needed with this baby. (Not that I would stop you.) Find the recipe HERE. MMM I adore butterscotch! This looks awesome! Happy Thanksgiving Bridget to you and your family.Thanks for everything you share. Thanks for this beautiful Pie recipe. I cannot tell you how wonderful this looks to me! Happiest Thanksgiving to you and yours!